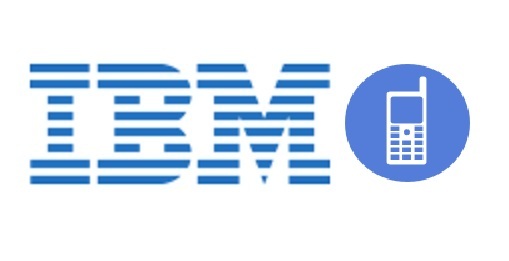 IBM has issued a new report concerning the growth of mobile commerce in the retail sector. The report — “Online Retail Index” — shows that mobile commerce has been growing in popularity among mobile consumers that favor their smartphones and devices over traditional means of shopping. Many of these consumers have become very comfortable with the concept of shopping online but are becoming less likely to remain tethered to stationary computers while doing so. Mobile technology has allowed these tech-savvy consumers to shop wherever they are, enabling them to shop more frequently and, in some cases, spend more money. According to the IBM report, mobile commerce grew by 31% in the first quarter of this year, up from where it had been in the same period of 2012. The report notes that growing tablet use is a major contributing factor to the growth mobile commerce is experiencing. Many consumers consider tablets to be convenient mobile shopping platforms. Larger screens offer better functionality with conventional e-commerce sites, making these sites easier to navigate removing some of the problems consumers have had with purchasing products. The report indicates that mobile commerce now accounts for 17.4% of all online retail sales. This is expected to grow in the future as more consumers become acclimated to the concept of mobile shopping and purchasing products with nothing more than their smartphones or tablets. IBM predicts that growth will be sustained by retailers’ ability to provide consumers with a positive shopping experience and their ability to cater to tablet users. The IBM report notes that the use of interactive technologies, such as augmented reality and QR codes, has helped boost the adoption of mobile commerce. These technologies have been able to engage consumers in a new and dynamic way, encouraging them to make purchases of products that they are most interested in. In the case of QR codes, consumers have been able to make use of retailer discounts at a higher frequency, as long as they purchase products from a mobile device.